Hate being stuck in the house during the winter? It always seems like the longest stretch between winter break and spring especially when you work at home. The kids want and break and so do you. When that time comes, we book a visit with Castaway Bay. Castaway Bay is located in Sandusky, Oh, right next to the causeway for Cedar Point. 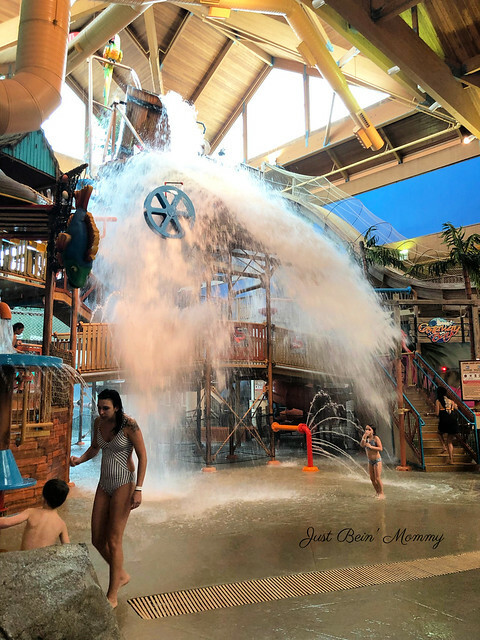 This indoor waterpark has fun for everyone in your family and if you book a hotel room, your passes for the waterpark are good the day you check in until the waterpark closes the day you check out. 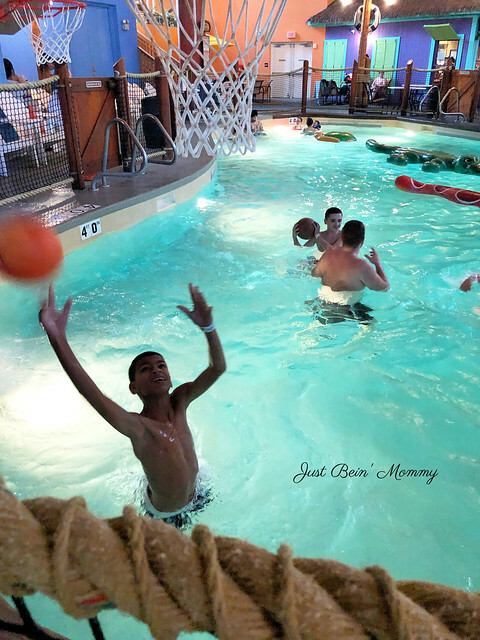 Here are things you must do to ensure you and your family have a wonderful time at Castaway Bay. 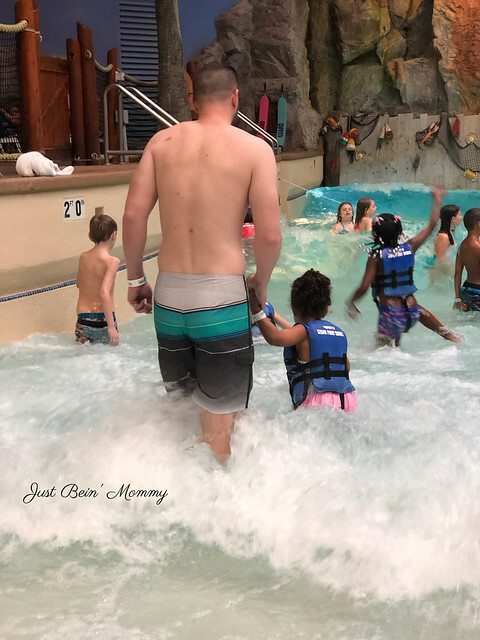 The wave pool is always the first place we stop before exploring the rest of the park. It is made for everyone including even the littlest family member. They have life vests for the littles and specific recommendations for each size. The boys love when the waves are on and just cruise while Olivia loves to jump over the waves. This is a 4 ft pool with plenty of pool games including basketball and floatable. If we are looking for Hayden, this is normally where we can find him. He loves playing water basketball. This area is also made for all ages, just make sure to have a life jacket on the littles. This is Olivia’s favorite place. All the water slides and water pipes give her all the fun as a bigger kid but her size. He favorite things is the big water slide. I love watching her excitement as she’s going down and hits the water. While I stayed in the room with Olivia for bedtime, Paul, Hayden, and Noah spent some time in the Grotto Spa. This is a 50 person spa that is partially outside. It also contains a waterfall. Just make sure to observe the time limits. While the boys got ready to head back into the waterpark after dinner, Olivia and I spent some time in the arcade. I loaded a car with about $10 and let her pick the games to play. 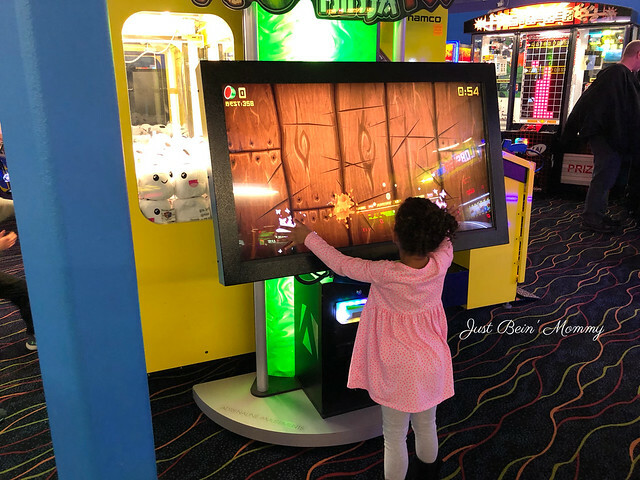 They have a wide range of games for kids Olivia’s age up to adults. I helped her gain some tickets so she could pick out something for herself. We do this every visit: choosing a t-shirt, bag or towel and making it our own. If you don’t want to pay for the souvenir, they also have coloring sheets. Posted times are listed in the Island Times. You can pick one up at the front desk. Once everyone is finished swimming, you can watch a movie and have story time with snoopy before bed. Pajamas are encouraged and the view outside (for the parents) is to die for. You can get a hug from snoopy before bed and maybe sneak in a photo opp. 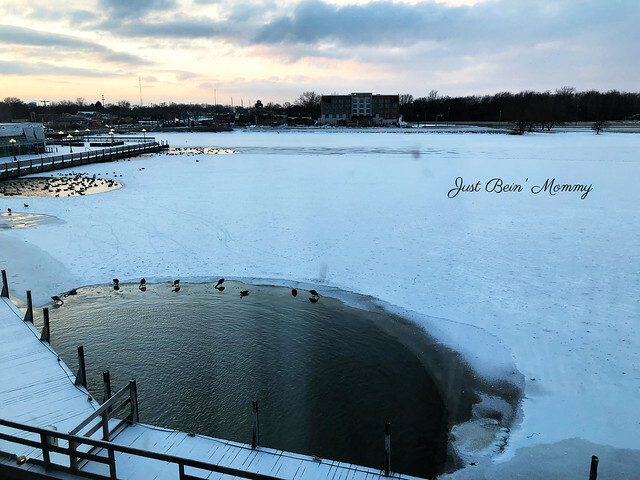 Spending time at Castaway Bay has been a family thing for us for the past couple of years. The kids can’t wait to head for this weekend trip every year. Head to the website to start planning your weekend trip. If you can stay overnight, they do offer day passes. Don’t miss the day pass giveaway on my Instagram Page that ends February 11th 2019.